The WordPress platform has been around for quite some time and is the ideal choice for the purpose of blogging. WordPress is easier to customize compared to other blogging platforms, such as Blogspot. I have already shared basic info on WordPress earlier. There are two sides to WordPress. Both are very different from each other. Limitations and which is better for your Blogging platform? We can use both the platform for hosting your content and publishing your blog post, but it is important to understand the difference between the two as well. Let’s go deeper in the world of WordPress and take a look. 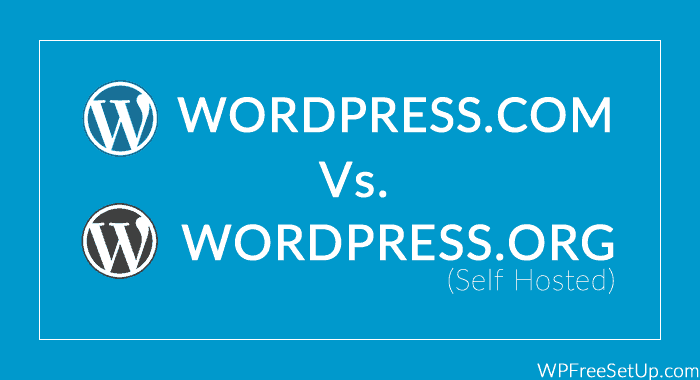 Which is Better: WordPress.com or Self-hosted Blog? WordPress.com will let you start your blog for free, and you don’t need to spend anything on Hosting or Domain. Though there are many additional packages that we can add, for example, custom domain. 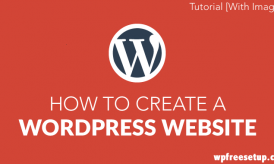 The benefit of WordPress.com is, It’s very easy to set up; you just need to follow some steps, and your blog will be up and running in no time. You don’t need to worry about things like maintenance upgrades, security, etc. as everything is handled by WordPress. When you create a Blog on WordPress.com, your domain name will be something like name.WordPress.com, which is not great for branding. You need to buy a custom domain, and it will cost you $13/year. There is no way your blog will ever be down since it is hosted on multiple servers, and no matter what kind of traffic you are receiving your blog will not get held up. You will have your blog in a community, and so other WordPress users will be able to visit your blog. This is a good thing with regards to traffic. You will be able to connect with fellow bloggers who share the same interests as yours. As I mentioned, since WordPress.com is free, it has a big list of limitations. Specially when your plan is to use your blog as making money online platform, WordPress.com is bad, and you should opt for self-hosted WordPress blog (WordPress.org). WordPress.com itself offers you a lot of themes; there are various themes to choose from, and some theme or another will be appealing to you. However, you can’t have a custom theme for your blog, unless you pay someone to make one. So, your blog might not look genuinely unique. Another bad point is that you can’t upload plugins. If you want some fancy social media sliders or some fancy galleries, you will not be able to do that. Lastly, you can’t change the PHP code that defines the way your blog looks and the way it shows content. Your blog could be deleted by WordPress team for any violation of their TOS. 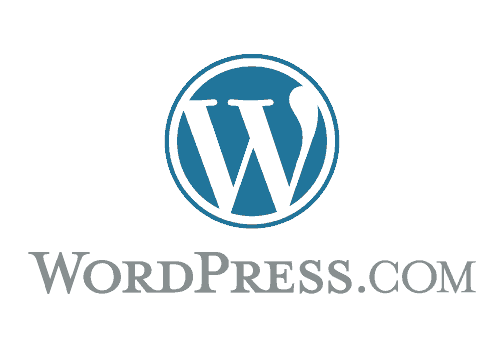 WordPress.org variant of WordPress also known as Self hosted WordPress blog is one of the most popular Blogging platforms in the world. 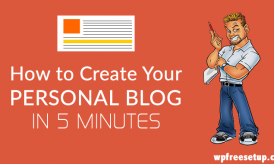 It’s not only good for creating the blog, but it can be used as creating your Website. WordPress.org offers WordPress software, which you need to install on your Web-hosting, which supports PHP and MySql. You can think of WordPress.org as a kind of WordPress which requires hosting by the user. This means that you will have to buy the hosting which is cheap & you can get entry level quality hosting at as low as $4/month. Self-hosted blogs have major benefits on free WordPress blogs. If you visit WordPress.org, you have the option to download WordPress, an ‘open source’ software, on the very first page, and anyone can make changes to it. You can use this software to create your blog or website. It’s easy to use, and you don’t need to learn any kind of coding, etc. WordPress does the coding for you, and all you need to do is interact with the GUI and create your website or blog. However, before you can do all this, you will require webhost. A web host has its servers, and they will upload your website on the internet. Without a host, the WordPress software won’t do you any good and there are different charges for hosting. The rate depends on the amount of space you need and the bandwidth you require. However, if I were to give you an approximate for a good web host, it would be around $4 a month. Bluehost and Hostgator are highly recommended, as they offer unlimited hosting for as low as $5/month. With self-hosted WordPress blog, you will be able to upload custom themes, and there are thousands of themes out there. There are thousands of free theme and premium themes for WordPress are available. When it comes to the plugin, you can install any plugin that can be downloaded from official plugin repo or any custom made plugin by developers. You can upload plugins, as many as you want (of course, it depends on the amount of space you have with your web host), and plugins are what will make your website stand out. There are a lot of options, and you just need to search for one you like. Like themes, some are free while others need to be purchased. A good website to find WordPress plugins is codecanyon.com and official WordPress plugin repo. You also will have full control over the PHP code, and if you know how to write PHP code, then you will be able to change whatever you want. So, by now you know that both WordPress.com and WordPress.org have their share of advantages and disadvantages. When you are creating a personal blog, where your intention is just to have a blog as a diary or journal, it’s the best, as you don’t have to invest anything. 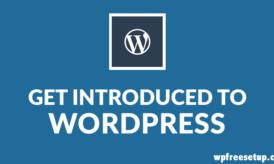 One can always start a Blog on WordPres.com for experiencing WordPress and later on migrate to WordPress.org by buying their hosting and domain. If you are planning to start a WordPress.com blog with the custom domain by paying $12, I would rather suggest getting a self-hosted blog for yourself. You can buy hosting + domain for $69/1 year from Dreamhost , which is a much better option when you are planning to invest. When it comes to creating a blog for making money online, business purpose or Corporate Blogging, WordPress.org (Self hosted blog) is the best. With a self-hosted blog, you get the complete control of your blog, and you can do anything you want. Since WordPress will be installed on your server, so you don’t need to be worried about anything apart from taking care of blog maintenance and getting your blog deleted by WordPress team. Moreover, a self-hosted blog offers many SEO benefits that could be achieved by custom plugins and SEO plugins, that we can’t use on WordPress.com blog. It all comes down to the way you want to use it, and for what purpose you want to use it for. If you want a basic blog for general writing & don’t want to make money from it, then you will be more than happy with WordPress.com. However, if you want something that is customizable, and you want to run a full-fledged website, make money out of it; then WordPress.org is for you. You can download WordPress eBook from here. I’m using Self-hosted WordPress sites for almost seven years and never had any issue managing them. Though, initially getting used to hosted and maintaining your blog might sound like a task, but with the awesome tutorials and WordPress community support, anyone with or without technical skills can learn it. So, my suggestion is to get a WordPress.org blog instead of WordPress.com when you are looking for long-term Blogging. In the end, it’s all about what you can handle and what you are most comfortable with. I also prefer a self hosted WordPress blog. Although there are some specific features in wordpress.com blog. There is a plugin named “jetpack” to use the features of wordpress.com blog in a self hosted blog. Nice article. Certainly wordpress.org is much greater advantages than wordpress.com. However, i beg to differ that wordpress.com is easier than blogspot. Blogspot is far more user-friendly and more features than any free blogging platform. Moreover, you are always in Google backyard, which is itself a great advantage. WordPress self hosted one is easier than other similar blogging platform, but if i have to invest, why should I do in WordPress.org? shouldn’t I create my site in Jhoomla or Drupal, which are more professional with good coding (good for SEO)..
And wherever you make your site, if you do something illegimate things on it, Google will ban you anyway. the greatest example is John Chow (a blogger guru) who did some spam things and banned by Google. However, he is so popular in social network sites, he dont need search engine to draw traffic and earn million. He earns it anyway. Anyways, I like the comprehensive article.